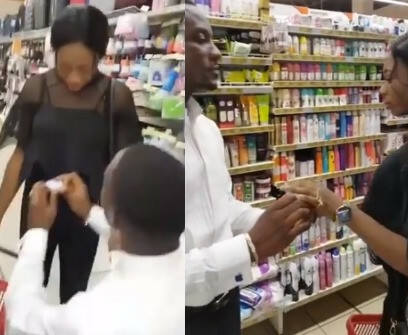 A video has emerged online showing the moment a man was embarrassed by his girlfriend inside a mall after he proposed to her. The incident reportedly happened inside a mall located in Onitsha, Anambra state. In the video, the girl who appeared unhappy with the proposal, turned it down and walked out on her man. The incident has caused quite a stir on social media.